Susan Kane and Bill Scorzari are a pair of grown-up New York area singer-songwriters who will both be part of On Your Radar on February 21 at Rockwood Music Hall. Susan Kane is the past president of Tribes Hill, the Hudson Valley folk music community and support group. She sometimes draws on motherhood and the comforts of home in her songs and frequently covers the Grateful Dead. 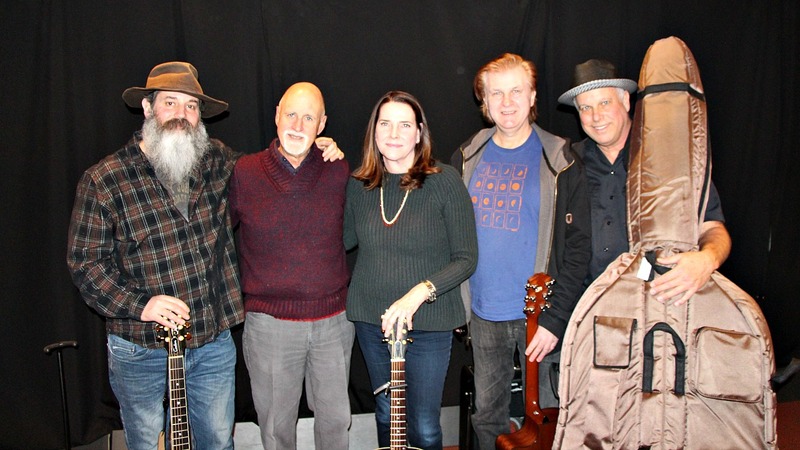 For this session in Studio A she was accompanied by two veteran Westchester County musicians, Peter Calo on guitar and Jeff Eyrich on upright bass, as she performed two songs from her most recent album, Mostly Fine. Bill Scorzari is a Long Island-based attorney who has been trading the law for music,with positive results. He traveled to East Nashville to record his brand new album, Through These Waves, with Jonah Tolchin and a stellar lineup of musicians, including Joachim Cooder, Will Kimbrough, and Kim Richey. On this session Jeff Eyrich stepped in to lend Bill's appealingly scruffy voice some support on bass.